Can Phil Hughes Surprise Us? The forgotten man in the Minnesota Twins 2018 pitching blueprint was supposed to be among its centerpieces. When Terry Ryan signed the right-hander to a reworked five-year contract following his brilliant 2014 campaign, the idea was that Hughes would now be thriving as a rotation fixture entering Year 4. Instead, as we all know, things have gone a very different direction – a gradual yet consistent downturn ever since. But the veteran is still locked in, lined up as the roster's third-highest earner at $13.2 million; a total afterthought in discussions of a revamped Twins staff. He'll either be a lost cause or a pleasant surprise. Let's explore the latter scenario, and what it would mean. Over the past three seasons, while the condition of his shoulder has deteriorated, Hughes has tried just about everything to offset the decline of a fastball that was once his calling card. He's thrown more changeups. He's attempted adding spin to his heater. He has undergone surgery for thoracic outlet syndrome not once, but twice. Ultimately, nothing else will matter much if his latest operation – dubbed a "revision" on the first – doesn't take. Last year, he came back from the initial surgery experiencing the same symptoms of fatigue that necessitated it in the first place. There was no improvement. His fastball velocity registered at a new career low. Mum's been the word on Hughes lately as he rehabs from an August 10th procedure that involved removing the remainder of his rib (half was taken out the first time) along with scar tissue, while cleaning up scalene muscles in the area. If you're having a hard time counting on Hughes, that's more than understandable. He hasn't been a particularly effective pitcher since that 2014 season, which now feels like a very distant memory. But it's important to remember how good he was then, and at other times. Does that ability still does reside within him? The new Twins front office, saddled with a $26.4 million commitment through the next two years, has no choice but to focus on his still-existent upside, no matter how remote the likelihood of achieving it at this point. How should the team's decision-makers be planning around Hughes as they look ahead to next spring, when he's expected to be ready to roll? I see two options, and one is clearly preferable in my mind. It goes without saying that the Twins must come to camp with at least five starting pitchers slotted ahead of Hughes. Anything less would be grossly irresponsible. So, if the plan is to bring back Hughes as a starter, he's nothing but insurance. Presumably he wouldn't be able to supplant one of the five proven commodities in front of him, even with a decent spring showing. When the season starts and he's on the outside of the rotation looking in, where do you go from there? Try sending him to Rochester so he can add to – dare I say – a starting logjam? Throw him into long relief, where he'll pitch sporadically in unpredictable bursts and struggle to build stamina? It could be that Hughes is no longer built to throw 100 pitches every fifth day. So maybe it's time to commit to another path. Once upon a time, Hughes was the dominating setup man who paved way for Mariano Rivera in a championship season for the Yankees. That was a long time ago now – almost a decade – but he has shown he can do it. Most likely the 31-year-old's days as a flamethrowing weapon in the late innings are over, but his best bet to provide value could be in a middle relief role. This would enable Hughes to throw in shorter stints, perhaps reducing repetitive wear on his arm, maybe even helping him regain strength. It would also be easier to make room for him in the pen than in the rotation. Even if he doesn't approach the 94 MPH gas he was bringing back in 2009, Hughes has the control and aptitude to be an effective reliever if this surgery restores even a semblance of his previous zip. The Twins, of course, will take whatever bullpen depth they can get. An optimist could even venture to think bigger. Other pitchers have been written off due to recurring injuries around the same age, only to bounce back resoundingly in a different form. 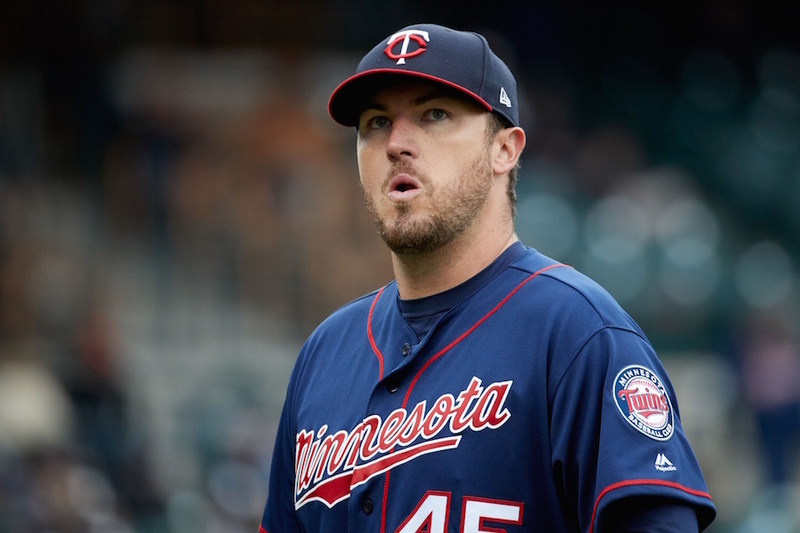 That list includes Hughes's good friend Glen Perkins, who appeared cooked after shoulder issues wrecked back-to-back seasons and ended his career as a starter. Perk wasn't all that much younger when he reemerged as a reliever than Hughes is now. It's a lofty hope, but one that is grounded in low expectations. Therein lies the beauty. Hughes has all the potential to surprise and little chance to disappoint. One thing feels clear, though: If the Twins try to bring him along as a starter, again, hoping he can regain velocity over long outings and make it through lineups multiple times, we're destined to get what we expect. So, can he be placed back on the 60 day DL to start the season? I imagine he can refuse a minor league assignment if healthy, and he can’t be retained off of the 40 man roster by passing through waivers, so he’d just be released if we don’t roster him on the 25 man. His upside might be to be 2018’s Dillon Gee. The Gee reference is apt, I suspect. Forgetting contract, it would still make him useful. I don't understand all the particulars involved...finishing 2017 on the DL and could he go there again immediately, etc...but I foresee EST or a 60 day again with continued rehab and maybe some milb assignments. Unless he can reach at least 92 in spring training or has miraculously developed good secondary pitches out of thin air I'd release him.I don't believe he can be effective without his fastball velocity because he's pretty much a 1-trick pony.His secondary pitches have only been effective if hitters are worried about his fastball/cutter.It's too bad, but sometimes you just need to move on and give the opportunity to someone else. I’m confident he can be a solid pen arm for us next year. If he turns into an 8th inning guy or a legit 4th starter I would be even more thrilled. His upside is R.A. Dicky. Learn a knuckle ball stat. Surprise us? If so, I hope in the bullpen and not as a starter. I'm taking a wait 'n see approach and see how he does this spring. Can't he be passed through waivers and assigned (if not claimed, and who would with his contract attached) to Rochester ? Let him prove he can help the club before innings are wasted on him? Hughes is similar to the food storage we have in our basement. We own it, it's ours, we hope not to have to use although in a way we are obligated not to let it go to waste. Maybe Hughes can contribute in 2018-2019. The Twins have nothing to lose. Is he is any way a trade prospect? The only surprise I want to see is an entire pitching staff capable of giving me better than Gee-like optimism. I hold no hope for him whatever. The contract extension turned a smart signing into a fiscal drag on the team. His weakness in the bullpen, besides his obvious lack of speed, is the fact that he gives up a lot of home runs.It is time to move on. It has been our reality for a long time that big stars in any sport do not see Minnesota as a destination (Hockey should be the exception) and that makes development more important that any other consideration at this time since we still have a good minor league crop. He should be behind Bartola Colon, who should be behind Bert Blyleven on the depth charts.I have no problem with a come back and would set the bar rather low but at least set one. How about any 3 start period in the minors (AAA or AA)where his ERA is less than 3.00. I am guessing May, Gonsalves and Romero would jump at that opportunity. Why not hold Hughes to that standard as well? Hughes will surprise me if he throws one pitch for the 2018 MN Twins, but stranger things have happened. But if stranger things have happened, isn’t that giving perspective to lessen the surprise? I don't think we have to worry about Hughes. He'll show up for ST and if he's somehow hitting 92 again, great. If he's throwing mid 80s, I think they'll put him in the pen/DL or just release him. But the Twins shouldn't go into the season expecting anything from him and make him force their hand. If he's a pleasant surprise, great! I wrote off Joe Mauer last year and he wound up having a very pre-concussion Joe Mauer kind of year. So, do I write off Phil Hughes so the baseball gods can again mock me and prove me wrong? Has anyone really successfully come back from TOS?It seems like the dreaded "Rotator Cuff Surgery" of the 1970's. → Article: Can Phil Hughes Surprise Us?